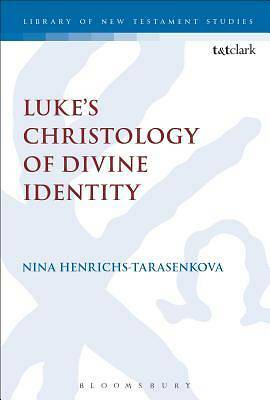 Henrichs-Tarasenkova argues against a long tradition of scholars about how best to represent Luke's Christology. When read against the backdrop of ancient ways of constructing personal identity, key texts in the Lukan narrative demonstrate that Luke indirectly characterizes Jesus as the one God of Israel together with YHWH. Henrichs-Tarasenkova employs a narrative approach that takes into consideration recent studies of narrative and history and enables her to construct characters of YHWH and Jesus within the Lukan narrative. She employs Richard Bauckham's concept of divine identity that she evaluates against her study of how one might speak of personal identity in the Greco-Roman world. She engages in close reading of key texts to demonstrate how Luke speaks of YHWH as God in order to demonstrate that Luke-Acts upholds a traditional Jewish view that only the God of Israel is the one living God and to eliminate false expectations for how Luke should speak of Jesus as God. This analysis establishes how Luke binds Jesus' identity to the divine identity of YHWH and concludes that the Lukan narrative, in fact, does portray Jesus as God when it shows that Jesus shares YHWH's divine identity.